The Sundowner S235 is a versatile cuddy aimed at domestic and export markets; the Horizon 190RS is a sporty runabout package. 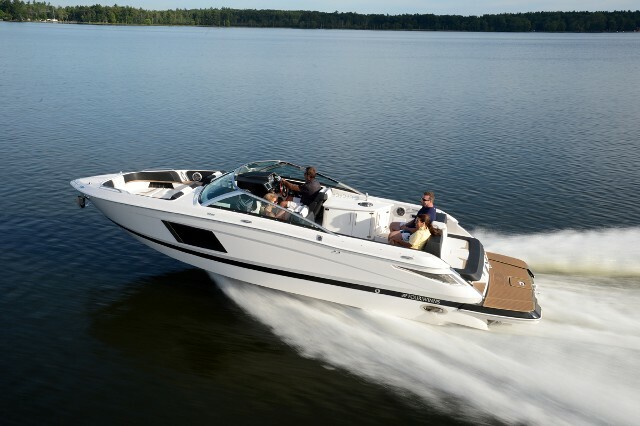 Four Winns keeps rolling out new models, with two new boats revealed at the 2012 Ft. Lauderdale International Boat Show including the Sundowner S235 and the sporty Horizon 190RS. 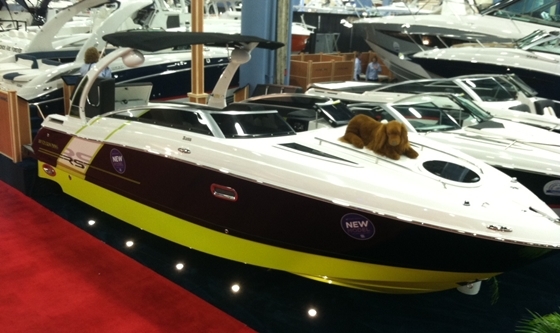 Since that show draws visitors from around the world it was an appropriate venue for introducing the Sundower S235 , a cuddy that will be offered in North America but is certainly targeting the European market, where these closed-bow models are particularly popular. Cuddy models, always popular in Europe, are making a comeback in North America with boaters who appreciate the secure stowage and protection offered by the closed bow. 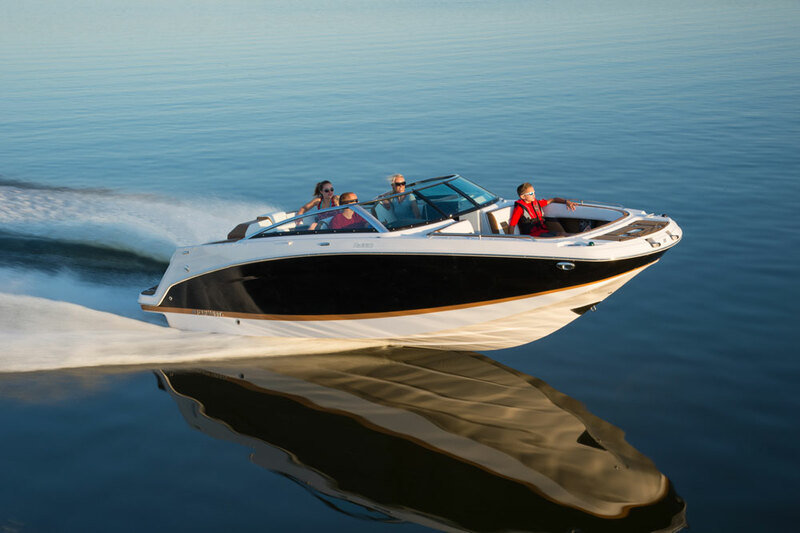 The 23-foot, four-inch S235 is a neat follow-up to the Sundowner 215 that won a 2012 European Boat of the Year Award, and it follows the same formula. A key feature is the space-saving, roll-down tambour cabin entry door, which opens to a space with a pair of facing side-seats that convert to a V-berth, and a concealed portable head. There’s some stowage on rails along the cabin perimeter, and lots of natural light from a round hatch and slit windows in the foredeck. 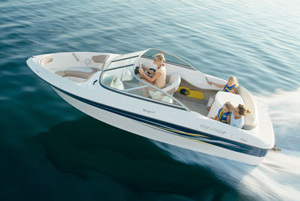 Topside, the Sundowner 235 has a deep boarding platform and a full sundeck. The starboard section of the sundeck lifts to uncover a walk-through to the cockpit, and can be propped up to create a lounging backrest. The cockpit has L-shaped seating aft with a pair of captain’s chairs at the consoles. Options include a refreshment bay with sink. 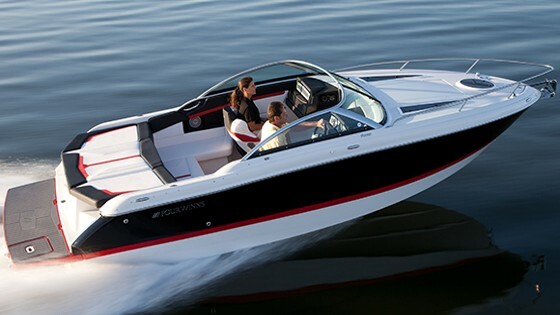 Pricing starts at about $64,000 with a 280-hp sterndrive, and includes a custom trailer. 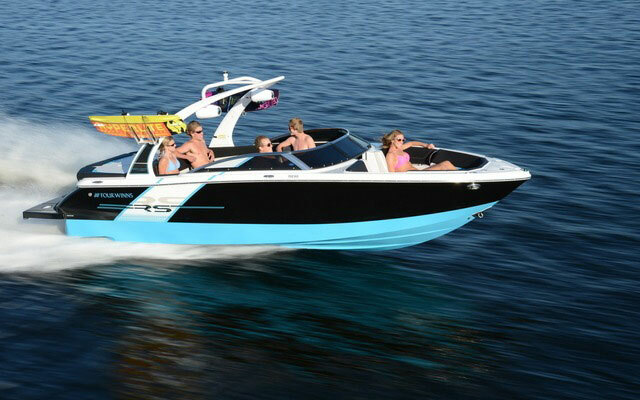 Also new from Four Winns is the Horizon 190RS, really a sport package applied to the standard 19-foot Horizon 190 bowrider, but this changes the boat’s personality. The most-obvious RS cue is the bright green and jet black hull graphics, which are carried through to cockpit carpet, and seat and inwale upholstery. 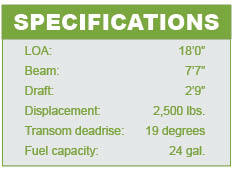 Vivid best describes the bright green and black color scheme of the Four Winns RS package applied to the Horizon 190. A low-profile windshield is also included. The RS also gets a dark-tint low-profile windshield, a bow scuff plate, pull-up cleats, and a gray swim platform mat. The boat comes on a trailer with aluminum wheels. A signature feature of the 190 is a pair of aft-facing bucket-shaped seats the flank the motorbox and have flip-up backrests for lounging at the swim platform. Pricing will start at about $33,000 with a 200-horsepower sterndrive. That’s about $1,500 more than the standard Horizon 190. 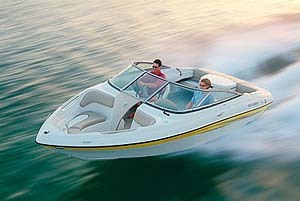 The RS package is also offered for the Horizon 180 and the outboard-powered Horizon 180OB.